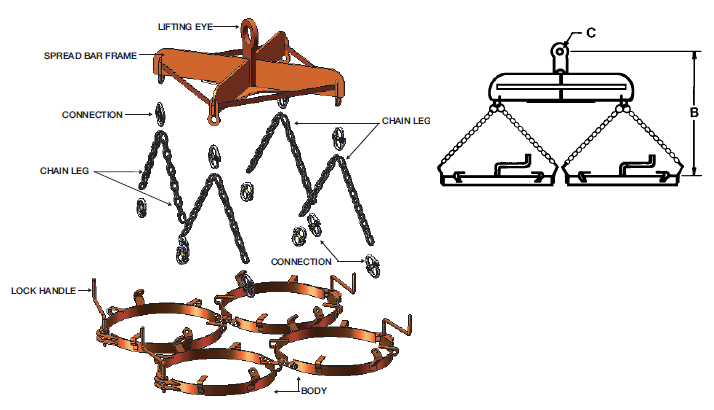 The Model 400-M is used for vertical lifting and transporting of metal drums. 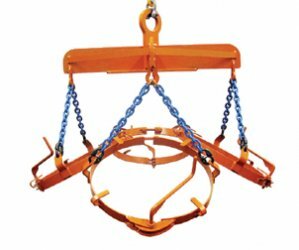 It is equipped with a past-center locking device which secures the clamp tightly to the drum. The Model 400-M is capable of handling four drums.